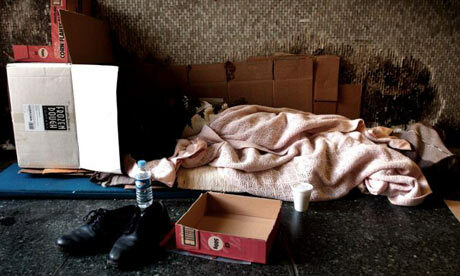 Figures released by the government show the first sustained rise in homelessness in Britain since 2003. The Department for Communities and Local Government (CLG) reported that 11,840 households were accepted as homeless across the country, an increase of 17% from the previous quarter. Campbell Robb, chief executive of nationwide housing charity Shelter said: "Already in Britain every two minutes someone faces the nightmare of losing their home, so it’s really worrying to see such a huge increase in homelessness. "We know from the people we see every day that just one single thing, like a bout of illness, rent increase or drop in income, is all that’s needed to push someone into spiral of debt and arrears that can lead to the loss of their home. "It’s vital that anyone struggling with their housing costs seeks independent advice as soon as possible." Shelter is alarmed at recent government proposals to scale back homelessness legislation given that their figures signal a further possible increase in homelessness. Another leading homelessness charity has warned that the rising number of rough sleepers in London alone over the past year looks set to continue, and worsen, in 2011. St Mungo's accommodates about 1,600 residents in supported housing, ranging from emergency shelters and hostels to semi-independent housing and high-support projects across London and the South. It also provides outreach services in the capital and said it was gravely concerned that the number of rough sleeper numbers across London had risen over the past year and over the last quarter. 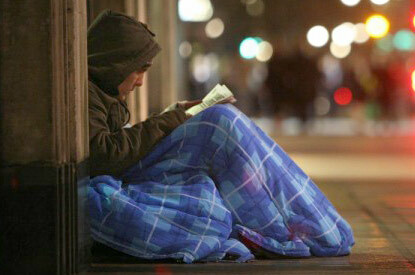 St Mungo's said overall, 3,673 people slept rough in London during 2009-10, compared with 3,472 people in 2008-09. A total of 1,549 people were seen rough sleeping on the streets of London between July and September this year. This was a 19% increase compared with the previous quarter, and 108 more people than seen rough sleeping in the same period last year. The charity said it was worried the number of people sleeping on the streets would rise even more with cuts to services that support vulnerable groups. It said money previously ring-fenced for homeless and vulnerable people under the Supporting People programme, was now available to be spent more widely, and it feared that some councils might prioritise resources elsewhere, as they made tough spending decisions. Already St Mungo's is facing difficulties, with its largest hostel threatened with closure, and its homeless prevention service in London prisons facing funding cuts. Charles Fraser, chief executive of St Mungo's, said: "Right now the trend line shows that rough sleeping numbers are rising. "Great work is being done in helping people off the streets but we're deeply concerned that the picture will worsen in the year ahead. "Central Government has pledged to protect the most vulnerable and that cuts will be applied fairly, but the reality is that some councils are planning cuts in funding to services for homeless people and those at real risk of sleeping rough. 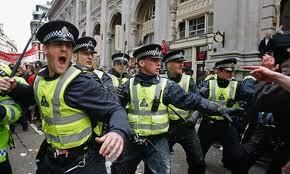 "Local authorities must not be allowed to raid what was the Supporting People coffer for other priorities. "There is nothing fair about cuts that hurt the most vulnerable, people with least in their lives. People who end up rough sleeping are already falling through society's safety net. "We call on the coalition Government to ensure that local authorities meet the pledges that have been made nationally, and don't allow vital services to be decimated now, only to have to re-build them, at greater cost, at a later date." For more information on St Mungo's, which runs more than 100 projects that house and support homeless people's recovery, visit www.mungos.org.